Shop Roland MDY12 Hatched Ball Clamp Cymbal Mount from AMS and enjoy Fast & Free Shipping. 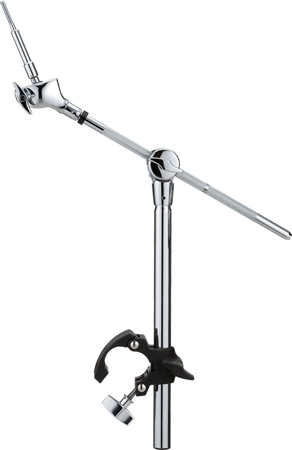 The Roland MDY12 Hatched Ball Clamp Cymbal Mount is a cymbal mount for V-Cymbal Pads. It features a flexible ball-clamp, a foldable boom arm, and a hatched clamp that’s compatible with all Roland MDS-series drum-rack hardware for expandability. Set up and teardown is fast and easy. Get one or two to expand your kit. Adding a great cymbal and holder is common sense and a great addition to the Roland drum sets, esp my TD11 which I will receive soon. I am so excited! !